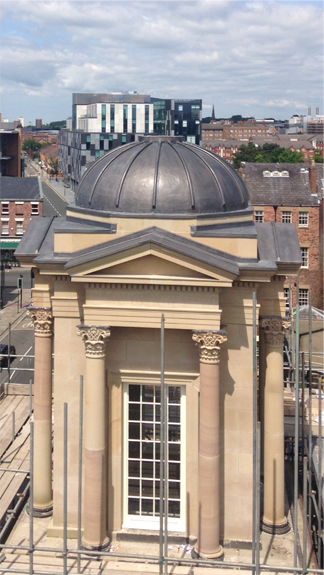 North West Metal Roofing is a specialist roofing & cladding contractor based in Merseyside, supplying & installing fully supported traditional metal roofing & cladding systems throughout the UK. A fully vetted & accredited company specializing in the installation of traditional metals such as lead & copper as well as more cost effective modern systems such as zinc & aluminum. The company has a proven track record with all types of projects, utilizing modern design methods & fabrication equipment combined with a vastly experienced work force delivering projects as efficiently as possible whilst maintaining the highest levels of quality and craftsmanship and achieving the architects initial aesthetic vision. NWMR have undertaken work for some of there UK’s largest building contractors as well as working closely with architects & domestic clients to build a wide ranging portfolio, delivering projects such as schools, hospitals, religious buildings, student accommodation, commercial offices, new build homes & much more. Please browse our portfolio & company information and do not hesitate to get in touch to ask for any advice or information with regards to your project.